Modern Athens! Displayed in a Series of Views, or, Edinburgh in the Nineteenth Century; Exhibiting the Whole of the New Buildings, Modern Improvements, Antiquities and Picturesque Scenery, of the Scot By Thomas H. Shepherd. 1829. 88 pages. No dust jacket. 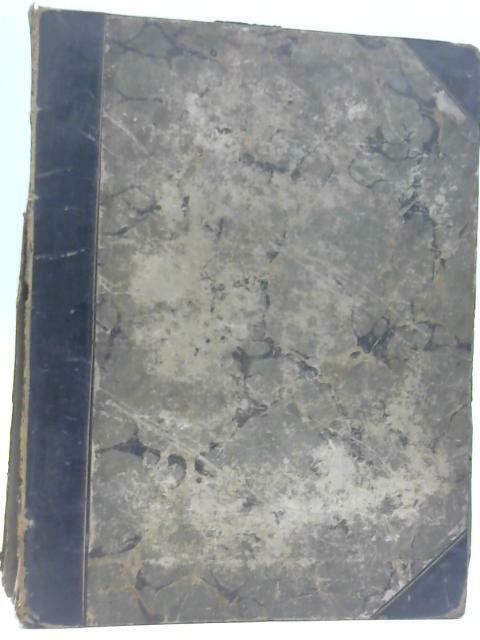 Marbled boards half-bound in black with gilt titles to spine. 'From original drawings by Mr. Thomas H. Shepherd. With historical, topographical, and critical illustrations.'. All pages have large water-stains, but the text is unaffected. Pages are tanned, with heavy foxing, thumbing and other marks. Some corners are dog-eared. Engravings with tissue protectors, which are sometimes creased or torn. Engravings opposite p71 are loose. Note: front board is nearly detached. Boards are loose, with heavy wear to corners and edges. Boards are shelf-worn and scratched. Rear board is warped. There is a large split in the front gutter, causing a loose front board, and a loose section of spine. Some loss to bottom end of spine.